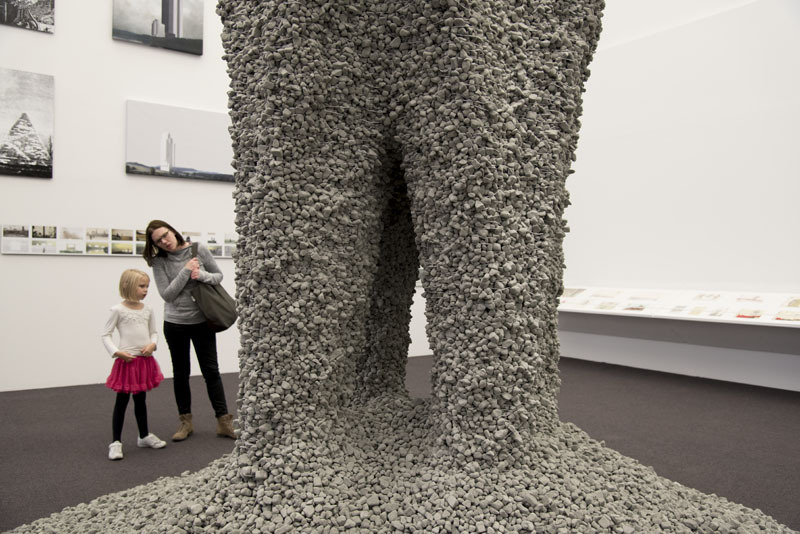 Rock Print is the first architectural installation to be built from low-grade granular material and constructed by robotic machines. 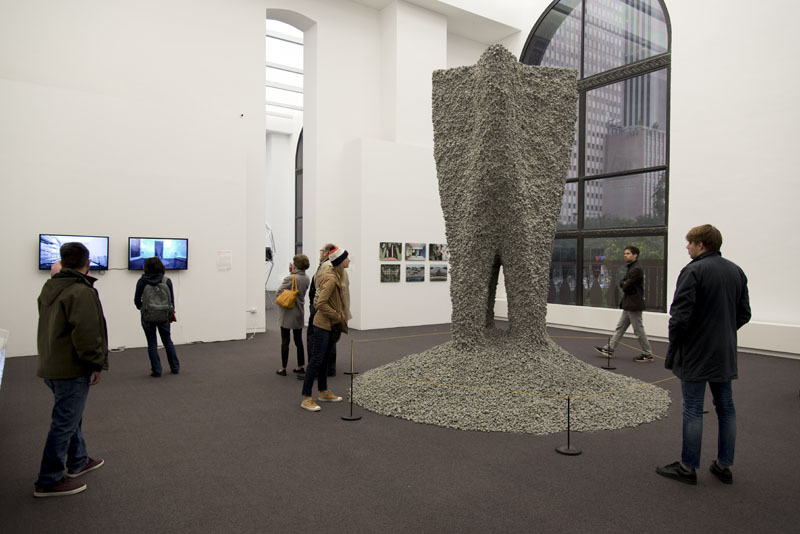 Conceived as an intriguing vertical object, the installation presents a radically new approach to The State of the Art of Architecture – the official title of the inaugural Chicago Architecture Biennial 2015 – and brings forward a new category of random packed, potentially fully reusable, poly-dispersed jammed structures that can be automatically fabricated in non-standard shapes. 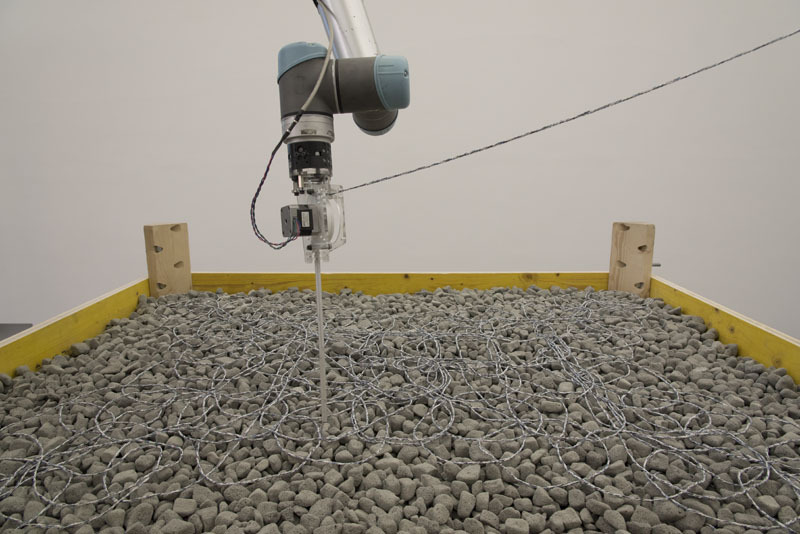 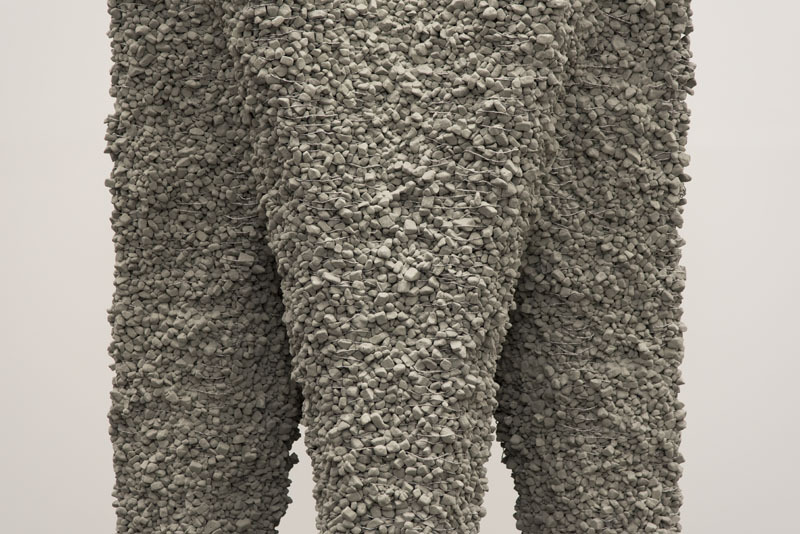 Following an initial period of robotic assembly, the installation will comprise a large-scale architectural artefact in its completed form, exhibiting distinct features, such as, for example, full material reversibility and the respective reusability of the aggregated materials; structurally active interlocking, differentiated structural performance, while yielding high geometric flexibility and articulation. 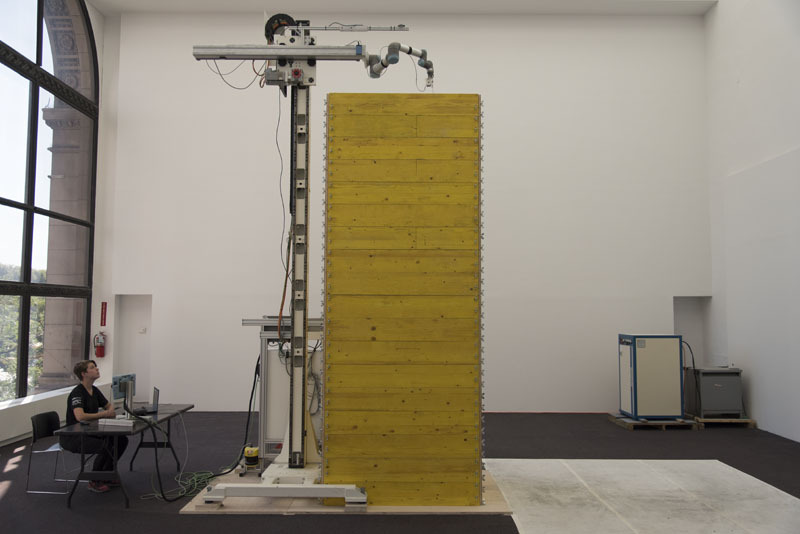 Performing a full scale 3D “rock printing process” that uses the self-aggregating capacities of the material itself, this visionary project is the first collaborative installation by Gramazio Kohler Research, ETH Zurich, and the Self-Assembly Lab, MIT.